Houston, Texas (Marketwire) March 16, 2011 – Martin Bell, owner and expert Houston dog trainer of Shelmar Kennels in Katy, Texas, recommends walking a well-trained dog to relieve stress in difficult times – encouraging pet owners to experience the positive effects it can have for both owner and pet. According to Bell, a leading dog trainer in Houston, one of the best ways to cope with stress is through exercise – and multitasking by walking with their dog serves the dual purpose of exercise for both as well as relieving tension for overall well-being. Which is why Bell and his expert staff at Shelmar Kennels are helping owners understand the benefits of dog obedience training. They work closely with dogs to eliminate constant pulling on the lead and the struggle that so often reduces otherwise peaceful walks to a frustrating chore. Bell, who specializes in dog obedience training in Houston wants to put Houston dog owners and their pooch on the right track. “It is important to train your dog. Training your pet to behave and walk to heel during your walk will be a big accomplishment and a source of great personal fulfillment. Getting out regularly will make you healthier and your dog much easier and more enjoyable to live with,” said Bell. Bell explains that owners can begin by taking their dog into the backyard on a leash and standing still – avoiding the temptation to teach heeling, until the dog becomes accustomed to his new collar and leash. Once the pup relaxes on the lead owners are ready to move to the next stage. “Changing direction is an important dog training tip to remember. If a dog pulls in one direction, we simply change direction and walk the opposite way. In the beginning it seems that you’re going in circles but dogs are intelligent and they will start to comply within a couple of sessions at our kennel,” said Bell. Martin Bell and his Houston dog training kennel, Shelmar Kennels, recommends that as soon as the basics are achieved it’s time to hit the streets! Both new and experienced dog owners will experience it. Dogs do not operate with the same motivations as people, so their actions don’t always make sense to us. Dogs are smart. They can, and usually do, think circles around their owners, and they can do it because most owners have never learned how to think like a dog or more specifically, owners have not learned ‘how dogs think‘. The limit of our dog’s learning ability is the meaning of the sounds of certain words. Dogs are quick to learn, and respond to, the sounds that are important to them. Skilled dog trainers understand that as well as using command words to dictate dog’s actions, repetition of any action enables the dog to use his mental imagery to ‘see’ and understand what his owners want. Almost every one of us has and uses mental imagery on a daily basis. This can apply to sounds and smells, as well. I ask my clients what their favorite meal their mom made them as a kid was. I watch their body language; eyes staring ahead to a far off place and a little smile will hit their lips with the answer of “chicken fried chicken with gravy!” I ask them if they can see it or smell it, the answer is always both. Next time you reach for and rustle the doggie treats bag. Pup already has a mental image of the treat in his mind; his behavior will change from normal, hoping that a certain action from him causes you to treat him. If jumping up on you enable’s him to get the treat, that’s precisely the behavior that he will replicate to be rewarded with the treat. Then when your pup complies, give him the treat. Changing your pup’s actions (or behaviors) is as simple as changing how you train the dog to achieve what he wants. Consider a dog that runs to the door every time the doorbell rings. If we over excitedly shout “daddy’s home pookie, go see daddy!”, and dad comes in and immediately starts petting and roughhousing with pup that’s precisely the behavior he learns. When the doorbell rings, pookie has learned that its playtime and that his excited behavior makes his ‘pack’ happy, he can hear it in the tone of your voice. Why should your pup being happy to see you? That;s a concern for any of us in regards to dog training right? Well, only the fact that you have taught or trained your pup every time the doorbell rings is playtime! Now question yourself as to why your pup always barks and bounces off the door every time the doorbell rings! It now makes sense that your pup can also worry in mental images. When you are late getting home, and run into the house and madly apologize while petting pup like crazy, they can be taught to miss us to the point of separation anxiety, because we spoil them with attention and petting every time they demand it. They recall images of us and our activities, such as fluffing the pillows on the sofa, picking up the dog leash, stacking our magazines on the coffee table and putting on shoes and coat just before we leave. As a result of this, they often engage in activities when left alone that involve them with these images, and actually incorporate these objects into their behavior. Pillows are knocked off the couch onto the floor, magazines are chewed, shoes and clothing are brought out of the closet and left at the door probably chewed on. Because they didn’t have us physically there, they try to interact with things that symbolize us from images taken from their memory. Dog trainers use this information for the benefit of dog training. The best dog trainers understand how dogs think and how they develop behavioral problems. It makes curing problems much easier when the trainer fully understands how the issue arose in the first place. Since most owners do not understand how dogs think, this is where the seeds of most behavior problems are sown. 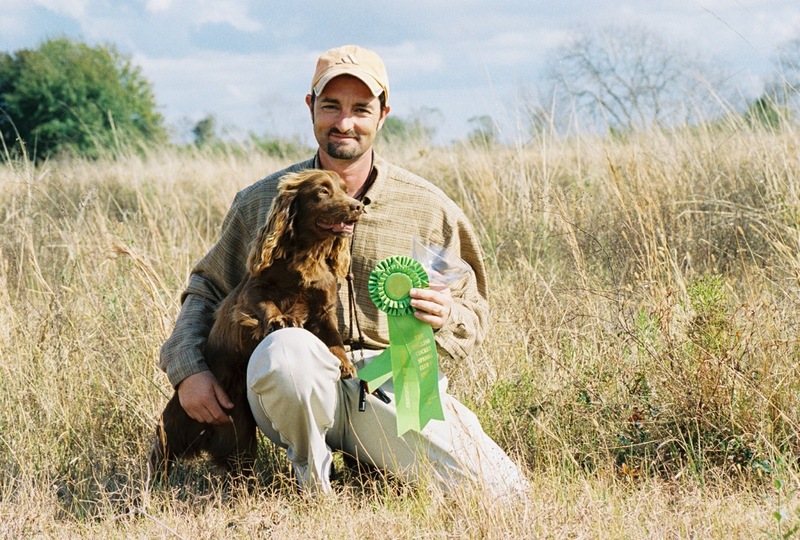 Since he was a boy, Martin Bell has gone from reputed gundog trainer in England to family-oriented dog whisperer in Houston. Houston, TX, Feb. 11, 2008 – Martin Bell found his calling early in life. He grew up with hunting dogs and word soon spread in his small town in England that he had an uncanny ability to connect with canines. He was recruited to coach the parish priest’s compulsive runaway to stay, and the local post office’s incessant barker to hush. By age 13, Bell was training dogs professionally. Bell’s reputation has since followed him across the Atlantic to Texas, where he has been a dog whisperer in Houston since 1996 at the 20-acre Shelmar Kennels just outside of Old Town Katy. His canine connection has rubbed off on his wife Shelly who has also become a leading dog whisperer in Houston. Shelmar was a moniker derived from combining the couple’s first names. Bell’s natural instinct coupled with decades of experience in working with dogs has made him a master trainer. His focus is not only to modify a dog’s behavior but also educate its family to maintain a healthy, synergetic relationship. He approaches his vocation with a Zen mindset. 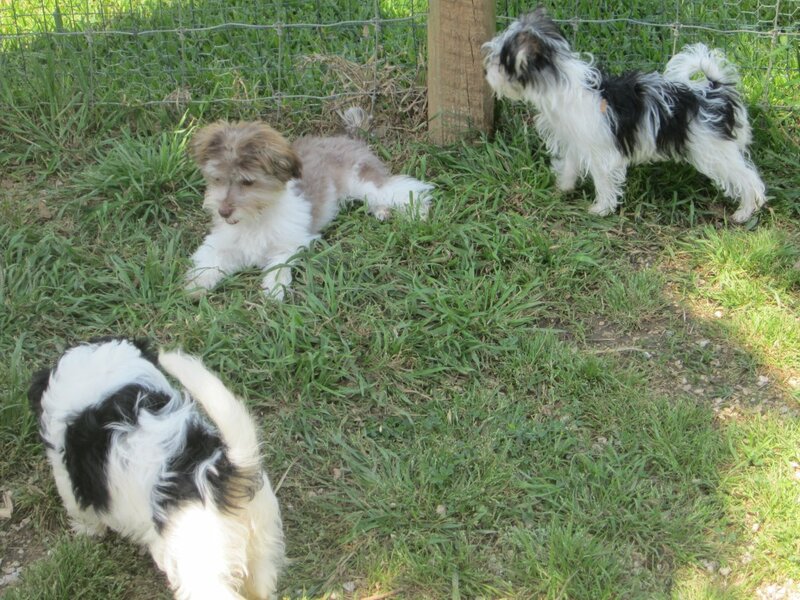 The only dog obedience school in Houston to offer a homeschooling program, a compassionate boot camp for dogs. Analogous to providing foster care for troubled kids, the Bells adopt dogs into their own home for four to six weeks to inculcate discipline and socialize them to a family environment. The couple has 12 dogs of their own ranging from prize-winning trial dogs to animals rescued from being destroyed that serve as role models to the trainees. Bell has won seven of the eight trials he has entered this year and is grooming six of his young pups for trials. Besides obedience training and boarding, the Houston dog whisperer also provides surgery recovery, injury rehabilitation and physical conditioning programs. A one-acre lake at the Shelmar compound is utilized to conduct water therapy for dogs recovering from injury as well as fitness regimens for dogs training to get in shape.